Funding to support new building in current Hood River facility location. PORTLAND, Ore., Nov. 20, 2017 — The U.S. Department of Agriculture (USDA) Rural Development is providing $13.2 million to improve access to health care services for rural communities in the Columbia River Gorge, announced State Director John Huffman today. The loan from Rural Development will be used by the nonprofit health care provider One Community Health to replace its Hood River community health center. A nonprofit Federally Qualified Health Center with locations in The Dalles and Hood River, One Community Health was founded in 1986 to serve low-income families and migrant and seasonal farmworkers in the Mid-Columbia Gorge Region, including Wasco and Hood River counties in Oregon, as well as Klickitat and Skamania counties in Washington. The health provider, formerly known as La Clínica del Cariño Family Health Care Center, built a clinic in Hood River in 1994 that was designed to offer primary medical care. Since then, the nonprofit has expanded its services to include dental, behavioral health, and enabling services, and its facility has evolved into a Patient-Centered Primary Care Home. One Community Health also now hosts a rural family medical residency program. As a result, the nonprofit’s patient base has expanded significantly. 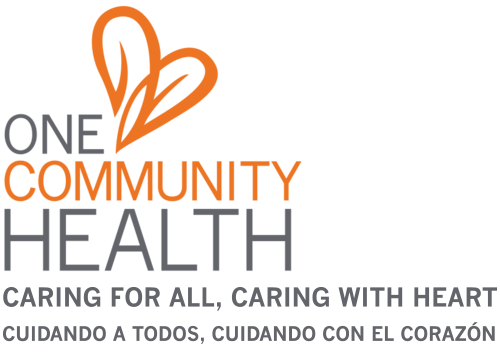 Today, One Community Health serves approximately 11,000 patients. However, the health center has struggled to meet the needs of this quickly growing customer base in recent years. One Community Health is receiving a $13.2 million low-interest loan through USDA’s Community Facilities Program to expand its Hood River facility. The new building will increase patient access to medical, dental, enabling, and behavioral services. The facility will include 20 medical rooms and 18 dental operatories, as well as space to support team-based care, a residency program, and anticipated future growth. The new, larger facility will be home to the majority of the nonprofit’s employees, and it will provide significantly more space for patient engagement. The new health center will be conducive to offering more resources, proactive educational programs, and events that support health and wellbeing. It will also enable One Community Health to increase its focus on providing whole-person care, both directly to patients and through community partners. With its expanded capacity, One Community Health will help thousands more low-income, rural families and farmworkers from both sides of the Columbia River access affordable, high-quality health care services for decades to come. Nationwide, USDA invested more than $1 billion in rural health care in 2017 through the Community Facilities Direct Loan Program. The funding is contingent upon the recipient meeting the terms of the loan agreement. USDA Rural Development provides loans and grants to help expand economic opportunities and create jobs in rural areas. This assistance supports infrastructure improvements; business development; homeownership; community services such as schools, public safety, and health care; and high-speed internet access in rural areas. For more information, visit www.rd.usda.gov/or.